Parace L'Sia is an elf girl and is the final boss of Arcana Heart 2: Suggoi! She uses the Arcana of Life, Paracelsia. 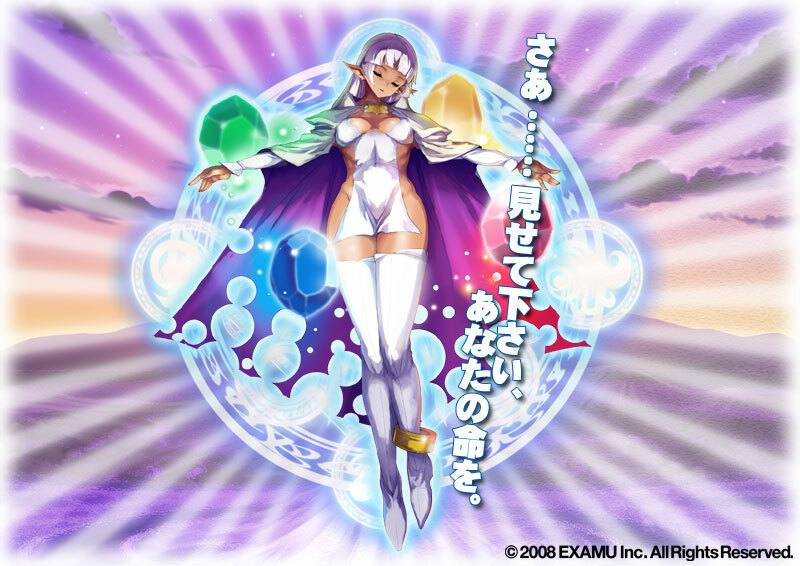 Parace uses four orbs that spin around her to attack that each have their own elemental properties: Yellow is Earth, Green is Plant, Red is Fire, and Blue is Water/Ice. She also has 9 Super Bars, similar to Mildred from the first game. Parace seems to be one of the "older" girls of Arcana Heart, which is definitely a good thing for the series (if you know what I mean)... lol. The thing is, Parace suffers from "SNK Boss Syndrome," which makes you hate her right off the bat. Yeah, she can pretty much just kill you any time she wants... cheap projectile spamming garbage FTW! Visually, she's another "typical" Arcana Heart design... To clarify what I mean by that = Not the kind of design that interests me. She has a few halfway-interesting moves, but really nothing that exciting. Also, I actually like her "normal cloths" better than her default outfit.